Freelance writer from Sydney. Images are my own unless specified otherwise. 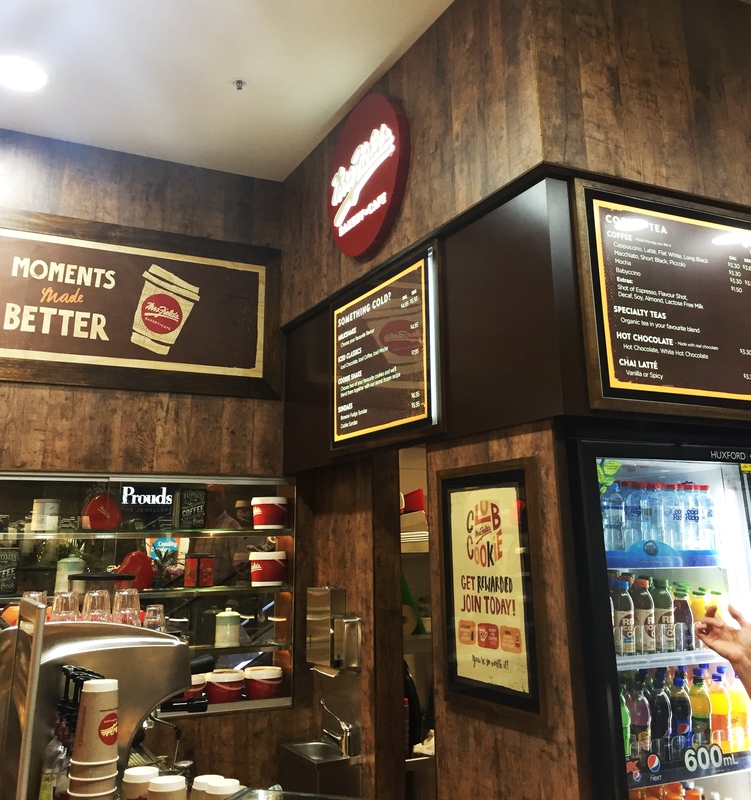 Mrs. Fields is located in foodie heaven; also known as The Macquarie Shopping Centre . Snacking has never been more accessible, more affordable or more appealing than it is today. As a result, food merchants have become highly competitive, selling extravagance and indulgence as if it's going out of fashion. This is where Mrs. Fields comes in. 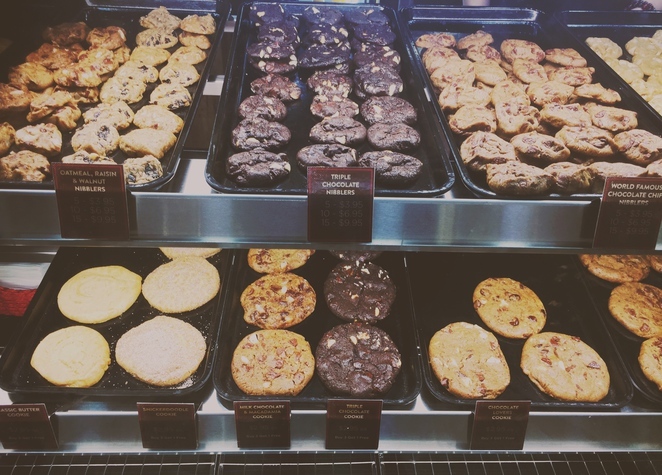 People flock to this cookie shop & bakery for more than just a mouthful of cheap, sinful dough. Discover muffins, brownies, cookie shakes, shortbread, brandy snaps and a huge assortment of cookies. You can't go past their cracking 'Ice-cream Cookie Sandwiches', and they make a top notch coffee too. Seriously it has won awards. They also sell magnificent gifts. 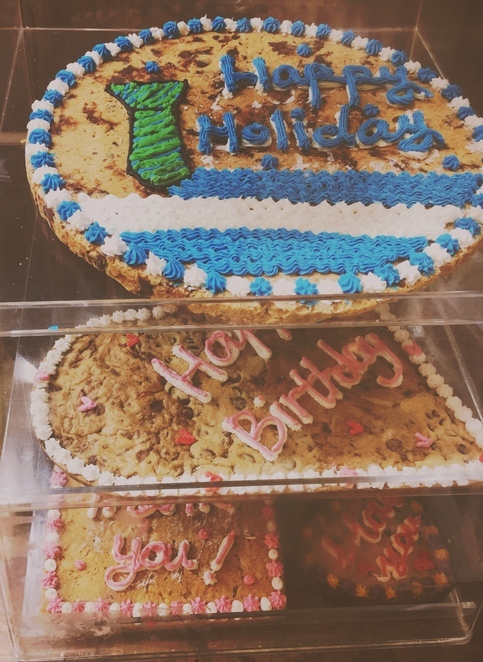 Who wouldn't be happy with a great big tub of cookies (pictured) for their birthday? Or any other occasion or excuse you can dream up. Mrs. Fields sells gigantic cookie cakes (pictured) which are lots of fun. So if you are looking for a unique way to celebrate a birthday or special occasion, why not ditch the cake and grab a massive chocolate chip delight instead? They are sure to surprise. A single layer will set you back around $39.95. Worried about calories? Why not do an hour in the Macquarie Ice Skating Rink beforehand? If the cookies have got you in the mood for more American-themed foods, head upstairs to TGI Fridays and continue to party in the USA. What are you waiting for? Get your cookie on. 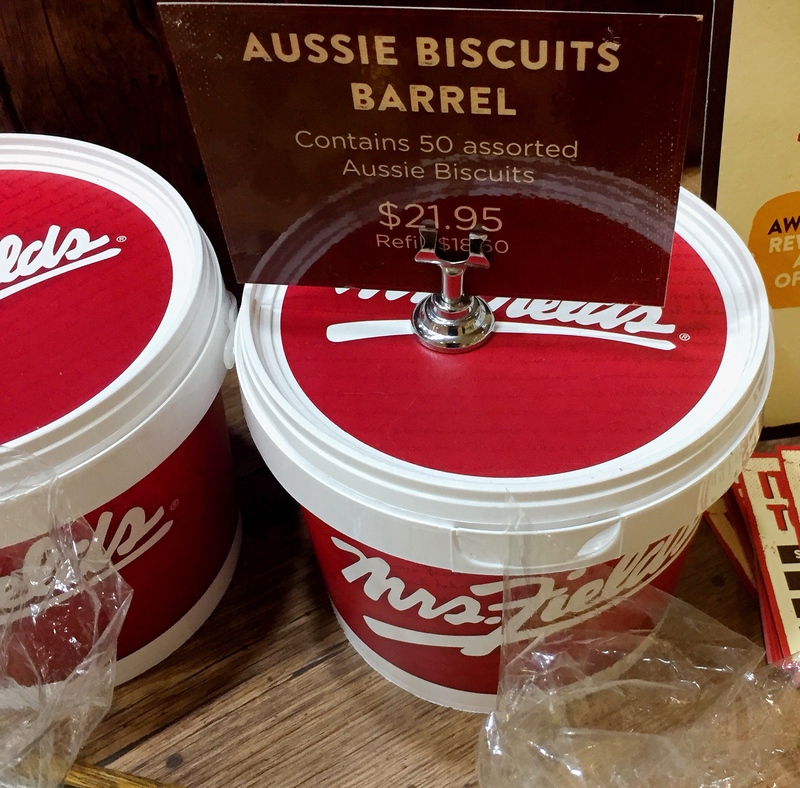 Mrs. Fields have various store locations in malls throughout Australia. Why? The best cookies in town. Love the Macquarie Mall. Cant believe how cheap these cookies are! Where's the cookie monster lol They actually look amazing, I can't wait to try this place.